Every now and then a great stage musical is translated onto the big screen in an evolution that can see vistas expanded and detail added to what might originally have been far more nuanced in the theatre. Done in reverse and it can all get a bit messy - as cinematic themes and styles are telescoped into the restrictive frame of a proscenium arch. So it is with Strictly Ballroom - in which Baz Luhrmann’s seminal 1992 picture (and one of the greatest Australian movies ever) has been condensed into something far more average, now playing at the Piccadilly Theatre. The story is an unrelenting pastiche that is not only unpolished, it has in fact been relentlessly smothered in glitter. 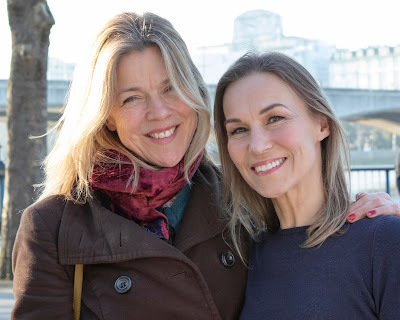 One senses that the show's core audience is likely to be middle aged women on a night out to hear Will Young singing the songs of their long-past youth. Young’s Wally Strand is a role that sees an English actor, don an Australian accent and effectively play the role of a Greek chorus. 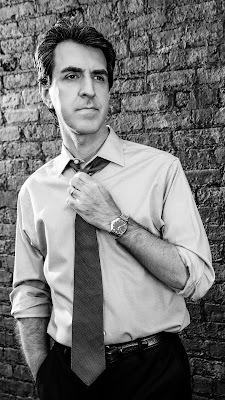 His voice is mostly mellifluous, but few of that core audience are likely to care as he relentlessly turns memories into muzak, rendering classic rock and pop hits of the 80s into elevator fodder. The book and songs here may be dire, but the entertainment shines through in Strictly Ballroom's dazzling dance. Drew McOnie choreographs the piece (he also directs, though thankfully with a book this shallow it is hard to blame him too much for the show’s cheesy tedium) and works his usual magic. McOnie is blessed in his task by having an outstanding company to work with. 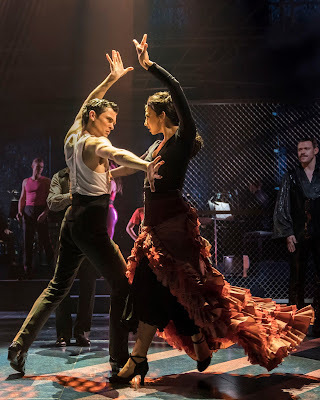 Zizi Strallen and Jonny Lacey are outstanding in their leading roles of star-crossed unlikely lovers - and they are wonderfully supported by (amongst others) the stand out work of Lauren Stroud and Fernando Mira - a man who makes his Cuban heels simply blaze. Ben Atkinson’s 10-piece on-stage band also make fine and impressive work of the score, notwithstanding some of the overpowering arrangements. But it’s Strallen and Labey that are what this show is all about. If you enjoy their fabulously fancy footwork (or, of course, the sight and sound of Will Young squeezed into glitzy leather) then you won’t be disappointed. The early evening Saturday slot at Live At Zedel saw a full house enjoy Emma Kingston’s solo cabaret debut. Known within the industry and to her growing fan base as a powerhouse performer with a stunning voice, Kingston delighted for a non-stop hour in a set list that spanned the decades. Accompanied by MD Freddie Tapner on piano, the song choices drew mainly from Kingston’s personal favourites rather than her career and not surprisingly the anecdotes with which she confidently peppered her routine were drawn mostly from loving family experience. Her brief tale however of being asked, at a moment’s notice, to provide emergency cover to In The Heights, nearly two years after she’d last played the show, hinted at this talented woman’s already impressive career. There was an evident love for Streisand with the famous singer’s work popping up several times in the hour. Funny Girl’s People was gorgeous, while for an encore the audience were offered Piece Of Sky from Yentl, with Kingston making the number a glorious finale. Vocally magnificent throughout. Kingston’s is a voice of amazing power combined with her pitch perfect ability to hold a note forever. But majestic strength does not always equal dramatic presence. As she offered up a beautifully sung take on The Man That Got Away, perhaps one of the most poignant torch songs ever, it was noticeable that for that song to really work it needs to be sung (much) later than 7pm, and ideally by a weathered chanteuse with perhaps a few more miles on the clock than the disarmingly youthful Kingston. In an enchanting nod to her age and heritage however, Kingston (along with the talented Tapner) had put together a well woven medley of Disney numbers that, amongst others, saw Ariel segue into Pocahontas segue into Elsa. One of the gig’s sweetest spots was hearing a perfectly nuanced She Used To Be Mine from Waitress. Kingston’s take on Sara Bareilles’ ballad was flawless and casting directors should be taking note of this contender for the role of Jenna, should the show ever cross the pond. Emma Kingston’s career has been outstanding to date - and as this review is published she has already arrived in Taiwan, returning to the role of Eva Peron (a casting personally approved by Andrew Lloyd Webber) in an international tour of Evita. Singing only one song from that show Kingston treated us to You Must Love Me. Hers was a powerful, beautiful interpretation proving why she is one of the finest performers of her generation. Visiting New York offers a chance to catch up with the trans-Atlantic transfer of Bill Buckhurst’s ingenious take on Sweeney Todd, sited in a replica of Harrington’s eponymous Tooting pie shop. 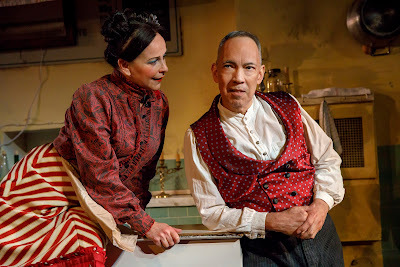 In the current iteration Thom Sesma plays the barbarous barber, while Sally-Ann Triplett picks up the rolling pin as Mrs Lovett. There’s a callow, haunted presence to Sesma whose Todd evidently serves “a dark and vengeful god”. One senses Sweeney’s murderous power and potential from the outset, Sesma’s opening exchanges with Anthony (Billy Harrigan Tighe) heavy with understated menace. The production however has its actors un-amplified, and annoyingly there are moments when lyrics are lost. Triplett is, as the role demands, far more floury than flowery. Indeed, while recent years have seen numerous talented women play Mrs Lovett, Triplett unlocks something special in the deep love that she’s evidently borne for Sweeney for many years. As she gives him back his knives, tools that she has evidently treasured, on his return to Fleet Street there is a moment of passion and pathos in her action that is a rare treat. There’s only one Brit in the cast (Triplett) and credit to all the American players for their English accents. There’s not a weak link amongst them either, with classy vocals and acting coming from Delaney Westfall and Stacie Bono as Joanna and the Beggar Woman respectively. Michael James Leslie captures the plummy patrician in Judge Turpin, though perhaps a little more could be made of his contribution to the show’s sexualised horror in his own reprise of Johanna. And moving from horror to comedy, the first half’s closing number of A Little Priest needs its vocals honed and timed just a little tighter to enable Sondheim’s razor-sharp wit to be fully savoured. With just a three piece band, musical director Adrian Ries makes fine work of Sondheim's complex melodies. As Sara Bareilles’ Waitress plays on Broadway and this show runs in Greenwich Village, the power of the pie to pack in New York audiences has never been stronger. Of course, the pie-shop Sweeney famously goes one step further, allowing folk to pre-order a meat filled delicacy (veggie option available too) that arrives swimming in liquor (or, as the Harrington’s sign states, a little lasciviously, “Licker”). On the night of this review, the Beef Wellington pie was delicious, even if the portion of mash could have been a tad more generous. Harrington’s at the Barrow Street Theatre was packed. It’s clear that this Sweeney Todd remains fine off-Broadway fare! 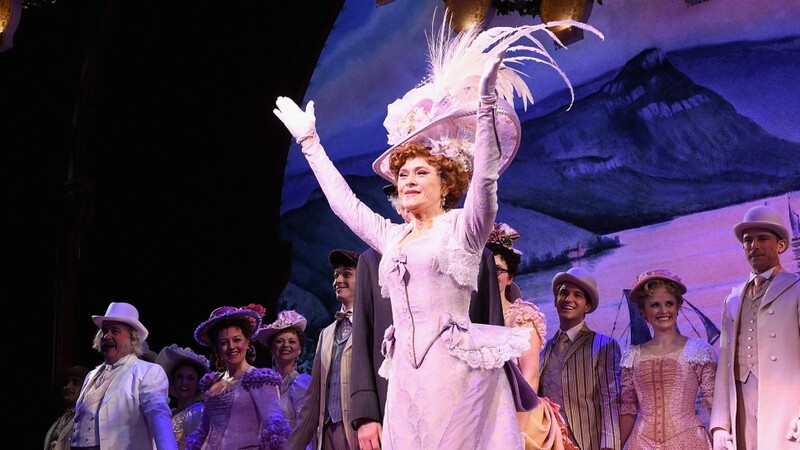 Catching up with Hello,Dolly! offers a chance to enjoy Broadway at its glorious, golden best. Bernadette Peters is now playing the titular Dolly Levi, wise, wonderful, but yet weary of her widowhood, the famed fable is all about how Dolly works her way into the life, and ultimately the heart, of local Yonkers merchant, curmudgeonly widower Horace Vandergelder. The story maybe froth and frolics, but underneath the razzle-dazzle of Jerry Herman’s songs and Michael Stewart’s book, there beats a heart-warming tale of simple humanity, which Peters portrays exquisitely. In Gene Kelly's 1969 Oscar-winning movie, Barbara Streisand, at 27, was a youthful widowed Dolly. Peters today is some years senior in the role, and the life that her Dolly will have experienced adds a beautifully nuanced depth to the story. Victor Garber captures the Scrooge-like qualities of Vandergelder to a tee and the smiles at his ultimate redemption, in finding love with Levi, is quite simply delightful. Then of course there is the sub-plot love story between Cornelius Hackl, Vandergelder’s clerk and society milliner Irene Molloy, while further japes come courtesy of Hackl’s sidekick, Barnaby Tucker. Santino Fontana and Kate Baldwin turn in assured work as Hackle and Molloy, but for this review, that brings a British eye to New York, it is a delight to see Charlie Stemp make an outstanding Broadway debut as Tucker. In the 1969 movie Michael Crawford was a memorable Huckl and while Stemp may be playing a different character, there is an aura of Crawford’s excellence that permeates his work, manifest in his comedy alongside flawless dance and physical presence. The songs of course are immortal and Peters commands an adoring house with not only the title number but also a heart-rendingly stirring Before The Parade Passes By, a song that has to be up there as one of the finest Act One closing numbers ever, and yet here, afforded a rarely glimpsed hint of of underlying poignant personal aspirations too. Warren Carlyle's choreography brings a lavish flair, never finer than in the precise execution of The Waiters Gallop. It speaks volumes for the warm, inclusive genre of musical theatre that right now, with both Hello, Dolly! on Broadway and the Lulu-led 42nd Street at London’s Theatre Royal Drury Lane, that there are shows playing to full houses and offering spectacular production values, that are both headlined by mature women with world-famous careers behind them. Brava! For the most part, Sting’s The Last Ship is a thing of beauty. The Geordie songwriter / pop megastar has penned a well-crafted salute to the shipbuilders of his native Newcastle Upon Tyne and their industry that has long vanished. Sting’s roots shine proudly throughout the show. The language is frequently and gloriously in the north eastern vernacular while the melodies, be they balladry or the more rousing ensemble numbers, are anchored firmly in English folk heritage. Think of The Hired Man, fused with Blood Brothers alongside a hint of Auf Weidersehn Pet and you start to get close to the show’s heartbeat. It’s hard (nigh, impossible) to write of the plot and remain spoiler-free. Suffice to say, not only is there a solid industrial foundation to the narrative, there is also a cleverly crafted human interest too. Themes of love, ambition along with both a respect for and a challenge to the importance of family and tradition, are well woven into the narrative. 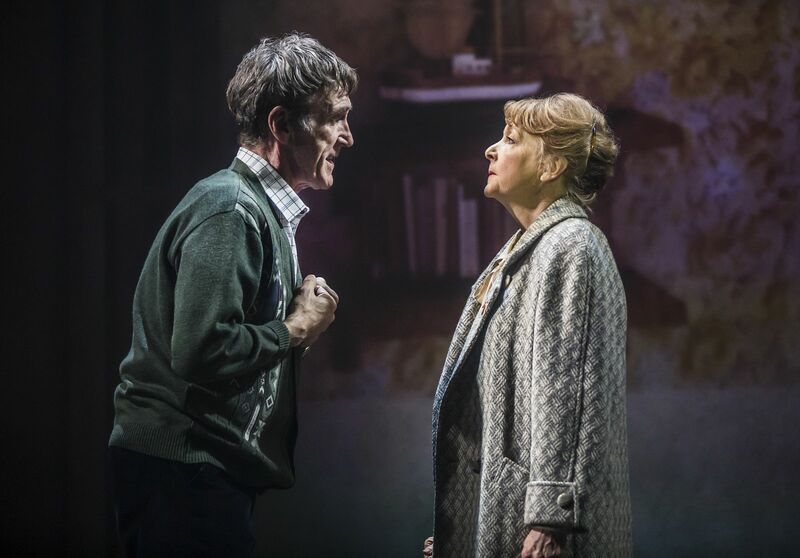 Joe McGann and Charlie Hardwick lead the cast as Jackie and Peggy White, shipyard foreman and nurse respectively and both could not be more perfectly cast. Their singing voices may not be the finest, but McGann has a beautifully powerful presence that’s hewn from riveted granite. As he leads his workers in act one’s stirring Shipyard number, there is a believable wryness to his delivery that defines him, not only as a leader of men, but also as a shipbuilder with a deeply held a pride in his craft. Peggy is made of the same steel as her husband, but with the additional thread of a perceptively drawn woman’s compassion. We see her not only leading, but caring too. The story’s romantic theme derives from the school-love that blossomed between Gideon Fletcher and Med Dawson (Richard Fleeshman and Frances McNamee) and who we meet some 17 years later. Both actors are gifted with some of the show’s more heart-rending numbers, though McNamee leads the women in a gloriously tango-infused routine If You Ever See Me Talking To A Sailor. The portrayal of the industry’s decline is as heartbreaking as it is recognisable. This review was written as the touring production played in Liverpool and there was a resonance to its message that was almost tangible sitting amongst the packed matinee audience in the Playhouse Theatre. Merseyside too has seen its docks and shipyards decimated. But Sting and Lorne Campbell have pulled their punches with the villain of this piece. Mr Newlands (played by Sean Kearns) is the shipyard owner who, as his business crumbles, resorts to having to call in the police to clear the picketing workers, defiantly attempting to hold on to their livelihoods. He’s clearly the bad guy here, but the real "bad guy" was a far more complex machine of global and local politics and policies that crushed the shipyards along with many other of Britain’s heavy industries. Similarly, in a litany of current “issues” recited before the final bow, its hard to reconcile a reference to gun control in the USA, however fashionable that debate may currently be, with Newcastle shipbuilders stripped of their industrial pride and dignity. Creatively, the show is cutting-edge in its conception. 59 Productions’ set design makes for an ingenious use of simple girders and clever projections to create illusions that switch seamlessly from present day to backdrop to spiritualised suggestiveness. Lucy Hind has crafted clever and authentic dance work, while in the pit Richard John’s six-piece band makes Sting’s songs soar. Whether the show will carry its charm into the metropolitan bubble of the M25 is hard to discern, with today's bloated Londoners being a world away from the harsh industrial axe that fell upon the North. Until then, the tour plays until July and it is well worth catching. The show tours until 7th July. Venues and dates can be found here. There is a gloriously challenging intensity to Jack O’Brien’s Carousel that creeps up on one throughout the evening and draws us into this glimpse of humanity’s cruel underbelly. Supported by Justin Peck’s balletic choreography (and dance is a strong feature of this production), O’Brien has stripped away what little froth Rodgers and Hammerstein’s original might have once contained. The nuclear reactor at the core of this show is the chemistry between Jessie Mueller’s Julie Jordan and Joshua Henry as fairground barker Billy Bigelow. Henry defines Bigelow’s tragedy in a way that has not been seen, on either side of the Atlantic, for decades. He exudes an irresistible masculinity that would have acted as a honeypot for the girls who swarmed over Mrs Mullin’s carousel. But more than that, he captures a blustering vulnerability. His Billy is not a bad man, but rather a good man who has done bad things. And rarely is that human characteristic so profoundly displayed as it is here. Vocally of course Henry is a dream. His reprise of If I Loved You is but a warm up for his masterful Soliloquy. 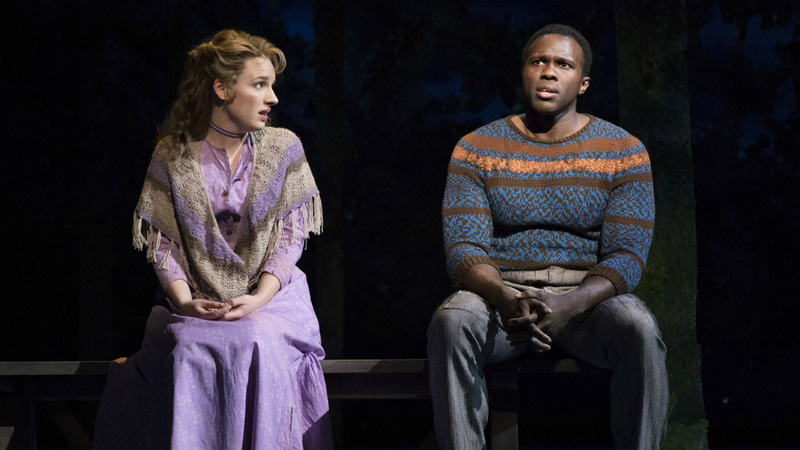 Jessie Mueller likewise is an outstanding Julie Jordan. Mueller’s interpretation of this complex, grounded woman is piercingly profound. 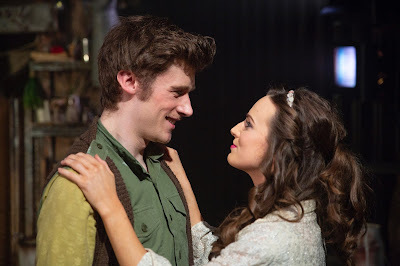 Through this performance we can understand how Julie can walk away from the security of her life at the mill, how she can still love Billy even after he hits her. The precision of Mueller’s work is devastating. In the penultimate scene, as she realises in a moment that the star that her daughter has shown her has come from Billy, Mueller rips our hearts open with her craft. And of course, she too is magnificent in full song. If I Loved You is exquisite but when, with Nettie, she sings the portentous What’s the Use of Wond’rin?, she has our heartstrings firmly in her grasp. Onstage excellence surrounds Mueller and Henry. Renee Fleming’s Nettie is a masterclass in compassion and understanding, her You’ll Never Walk Alone spine-tingling as she supports Julie in her grief. Likewise Lindsay Mendez offers a convincing and beautifully fleshed out friendly foil as Julie’s best friend Carrie Pipperidge. O'Brien has cut the comic lift of Enoch Snow’s Geraniums in the Winder, along with Jigger Craigin’s There's Nothin' So Bad for a Woman, making it clear that this interpretation of the musical, albeit with its uplifting finale, is unrelenting in pursuing the story’s underlying tragedy. Both Amar Ramasar and Alexander Gemignani make fine work of Jigger and Craigin respectively notwithstanding that their roles have been trimmed by O’Brien’s scalpel. Setting the tone for the show, a neat touch from O'Brien sees The Starkeeper (John Douglas Thompson) is given a role of fundamental importance right from the get-go. This is a heartbreakingly beautiful interpretation of probably the darkest musical to have emerged from Broadway’s Golden Years but, and not unlike The Starkeeper himself, Jack O’Brien has firmly fixed his Carousel in the firmament of 21st century musical theatre. As Chicago returns to London, I spoke with Josefina Gabrielle who as Velma is sharing the show’s leading credits, about the piece and her career. Josefina: Well, it's the longest running American musical. It's been running for 21 years on Broadway and it is wonderful to have it back in the West End. Chicago holds a very dear place in my heart, because I've had so many wonderful experiences with it. And I also have to admit an obsession with it too! Before I’d even saw the show, the original cast album had been a favourite of mine. I love to watch it and I love being in it. It also has a real international appeal. Not only do theatre lovers come to see the show, but it brings other audiences too. It makes me feel very proud, and Cuba Gooding Jr., by the way, is a diamond. We love him, an absolute superstar. He's a true star - a lovely, warm, funny man and an excellent company leader too. And of course, to work with Ruthie Henshall is a privilege and a dream. I've followed her for years and admired her and we've meet socially on occasions too, but to finally get to work together, and to sing Class with such a classy lady, is a thrill. JB: You’re playing Velma but when Chicago was last in town you played Roxie. Tell me about that contrast. Josefina: It is terribly interesting, because I played Roxie for the first time, 18 years ago. I went in and out of Chicago on various occasions during its run. I think the last time I was involved as 10 years ago. So now I am Velma watching Roxie, having been Roxie watching Velma. I suppose, maybe because of who I am now, 18 years later, my Velma certainly feels very grown up. Looking back at Roxie, I felt more sort of twinkly and girlie then. Now I feel more calculating, more of a planner, whereas Roxie didn't really think about consequences. She sort of turns on a six pence and just cleans up as she goes along, whereas Velma is more calculating. JB: You’ve played a number of phenomenal roles in recent years. What have you brought from your experience to date, to add to your take on Velma? Josefina: Interestingly and thinking of Merrily We Roll Along from four years ago, I've tapped into Gussie quite a few times. JB: The sexual politics of Chicago take on a different hue post-Weinstein. This production’s publicity shots follow the tradition of presenting Roxie, Velma and here, Mama Morton too, clad in underwear, while Billy Flynn (and Amos) remain fully clothed. How can that styling be explained, today? 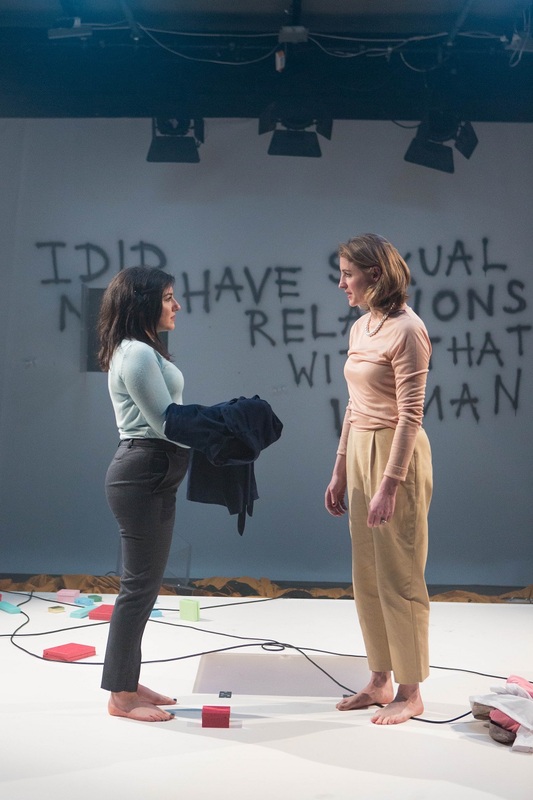 Josefina: I feel that the entire company, men and women, with the exception of Billy and Amos maybe, are owning their life with sexuality and physicality. Fosse is such a very strong, wonderful style of choreography, and we are wearing outfits and costumes that represent that style of the show and its dance. If you think of any ballet company, any dance company, it's no different. It is a dance and singing and acting show, so you're covering everything, really. I don't feel anyone is being exploited or feeling weak, because of what they're wearing. JB: Tell me your thoughts on performing Kander and Ebb's work. 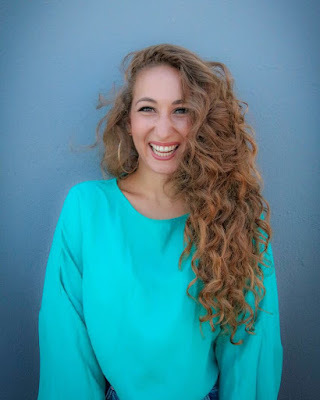 Josefina: My experience with Kander and Ebb and also Rodgers and Hammerstein are that the subjects that they pick are so fascinating and very often ahead of their times. How they portray those subjects, the structure of the shows and the music is just so wonderful, such brilliant numbers, that is it pure, pure entertainment that really sort of picks you up and makes you soar, soar as in fly to the sky. But when you really think about the message that you're putting across, it is wonderful food for thought of the whole sensationalising criminal behaviour in Chicago. Cabaret with the rise of the Nazis in Berlin. They touch on such fascinating subjects, moving you. And then, when you explore what you've celebrated, it opens your eyes. It's wonderful. JB: I'm glad that you touched upon Rodgers and Hammerstein because the first time that I came across your work was at the National Theatre 20 years ago in Trevor Nunn’s remarkable Oklahoma! What do you mean by those composers being "ahead of their time"? Josefina: Well I've done three Rodgers and Hammersteins now. Oklahoma!, Carousel and The King and I and every time it's an education. It's the birth of a nation in Oklahoma! as that state was just coming into existence. The musical is about the land rush, starting from scratch and setting up communities. That's an entire education on the history of the birth of a state. The King and I is all about cultural differences. Where you believe yourself to be superior, because you think you know better, but then another culture opens your eyes to your ignorance and you learn from each other. It's always been a wonderful education, and a sort of sense of coming home to, every time I've done a Rodgers and Hammerstein – the material is just so rich. JB: And of course you are one of the few West End leading ladies to have played opposite Hugh Jackman! Josefina: Yes. I mean on stage, it's just me, isn't it? JB: And now, together with Ruthie Henshall and Sarah Soetaert, you can add Cuba Gooding Jnr to that tally too! Chicago plays at the Phoenix Theatre and is booking until 6th October. 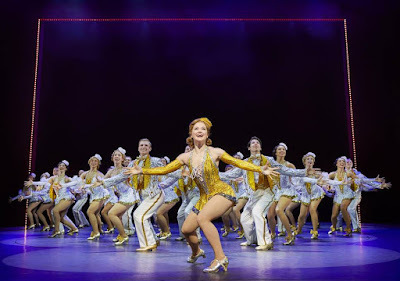 Revisiting 42nd Street at the Theatre Royal, Drury Lane – and it still remains the finest spectacle of dance to be found in the West End. Lulu takes over the role of Dorothy Brock, crock, from Sheena Easton – and the show displays one of those rare moments of art imitating life. Wikipedia may disclose Lulu’s age but this review will not. Suffice to say that her days of being a chart-topping pop star were many decades ago – and indeed her last venture onto a West End stage was back in the ‘80s. But actually, that’s what Dorothy Brock is all about. She’s a faded star, long past her best. Lulu’s vocal magic may have slightly faded, but she still has star quality by the bucket load, alongwith a name that’s recognised on both sides of the Atlantic. Producers, Michaels Grade and Linnit are no fools – Lulu will put bums on seats. And then, of course, there’s that 50-strong(!) company wowing the crowds with their dance. Ashley Day takes over as Billy Lawlor, but while Lulu may top the bill, it is unquestionably Clare Halse as Peggy Sawyer who leads the show, with tap-dancing feet that become a blur of brilliance. 42nd Street was fabulous when it opened a year ago. It still is. You can read my original review from 2017 here. 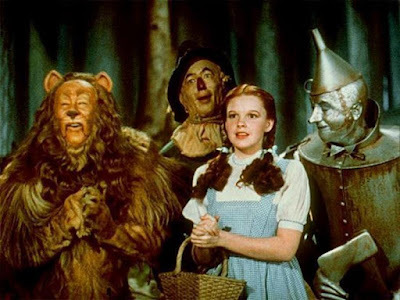 Nearly 80 years after its release, there is not a lot left to say about the wonderful The Wizard Of Oz. A classic movie, beautifully crafted from script through to performance, design, photography, choreography and a legendary score. Until, that is, one has the privilege of watching the movie on the big screen with the score played live by a 64 strong orchestra under the baton of Anthony Gabriele and Leader Susan Bowran in a screening produced by Ollie Rosenblatt for Senbla, in association with IMG. We all know the story with its strongly fabled morality and lyrics that are literally enchanting. Gabriele has studied the film meticulously and his conducting his spot on to the frame. A skilled Musical Director will be able to harness live musicians to live actors with a seamless fluidity. But where the action is on screen however, the scope for fluid flexibility and the odd filler-bar here or there is not an option. For 2 hours and 400 pages, Gabriele has to hit his mark with pinpoint precision. And he does. Connecting us with our pasts and our heritage and offering a timeless link to a beautiful history. Judy Garland et al may be captured, beautifully, in that flickering light beam and one may know the movie thoroughly, but Gabriele truly takes this score over the rainbow. If the gig comes around again, don’t miss it! Lionel Bart’s Twang!! first aired in London in 1965. The composer who, with his Oliver! had become the first British composer to win a Broadway Tony, died virtually penniless in 1999 and it was some ten years ago that his Estate approached Julian Woolford to work on revising the show’s book, prior to a try-out the Guildford School of Acting where Woolford still teaches. One of the reasons Bart was to die broke was that he had invested a vast chunk of his fortune into the 1965 show that was to quickly garner the reputation of “the most expensive flop” in West End history and on close inspection it’s hard to discern quite what Woolford has added that might enhance the show’s standing. Loosely based around the story of Robin Hood (played by Peter Noden) and his Merry Men et al, Twang! !’s current iteration threads Bart’s numbers into a story that is as cliched and dated in its style as a Carry On movie - but which lacks the comic genius of the actors who made that particular style of humour a success. That being said, there are enough moments here to make for a mildly entertaining evening. Bart’s songs have an infectious Sixties charm that it is almost impossible to trash, while Mitchell Harper’s choreography is impressive and ambitious for the Union’s compact space. There are standout performances from Kweeva Garvey’s Marian (her singing of Bart’s Dream Child and later, Plant A Kiss is exquisite) and also Ed Court, a man who has long impressed as a musician but here delivers a cracking nasty Sir Guy. 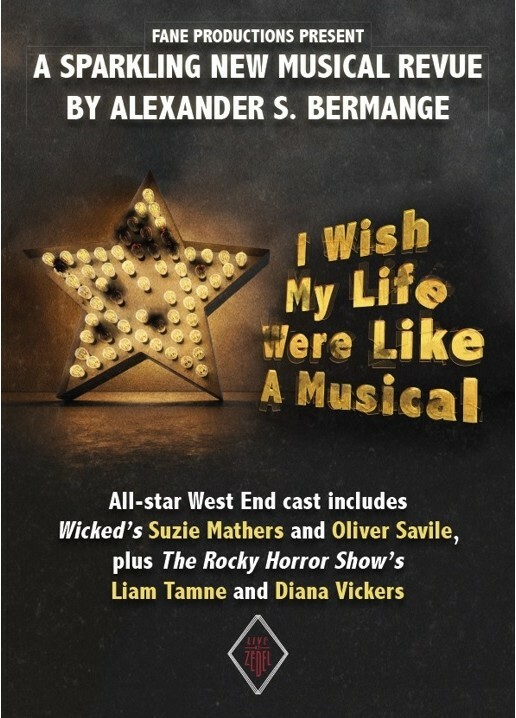 Woolford has scattered references to other famous musicals throughout his rewrite, and West End Wendies in the audience will enjoy playing spot-the-show in the throwaway references. And Twang!! is worth a visit if only if only for a chance to revisit some of Bart’s gems. A packed Palladium saw Jason Robert Brown, supported by the lush BBC Concert Orchestra and the composer’s own rhythm section record a Friday Night Is Music Night show for future broadcast. 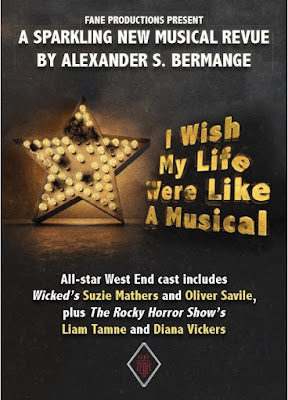 The music was grand and with the stunning talents of Betsy Wolfe and Norm Lewis also flown in specially from Broadway to join the British Isle’s very own Rachel Tucker, the vocal talent was top notch too. The evening was a pot-pourri drawn from across a range of Brown’s shows - and whilst he may have amassed a couple of Tonys to date, it was with a self-deprecating charm that Brown introduced Tucker’s take on Stars And The Moon from the Songs For A New World song-cycle, as a “medley of my greatest hit”, a wry acknowledgement of the Broadway commercial success that has so far eluded him. Wolfe and Lewis were the evening’s vocal stars, Lewis wowing the crowd with his Elvis-infused Higher Love (from Honeymoon In Vegas, a show that carries whispers of a possible West End stint) and Wolfe bringing the audience to their feet in rapturous applause with her unsurpassed interpretation of I Can Do Better Than That from The Last Five Years. It remains an interesting comment that both that number and Stars And The Moon, both of which are quite possibly Brown’s most famous songs are singularly about, even if not drawn from the writer’s experience, female aspiration. From this reviewer’s perspective one cannot comment upon the perception of Brown’s writing - other than to mark this tiny trend and the remarkable popularity of both songs. Brown’s first modestly major Broadway show, Parade, got a look in with the writer himself singing The Old Red Hills Of Home and commenting to the audience how much he relished the opportunity to return to the production’s original lavish, Broadway orchestrations. Having seen numerous Parades, each staged in a modestly-budgeted fringe venue, that score in particular works best when delivered away from the luxury of a fully stringed 60 piece ensemble, the beautiful brutality of Brown’s work remaining best played by a small, tightly structured band, with the striking, punching percussive staccato of the opening drum-beat lending itself to the chilling echoes of the Conferederate marching band it suggests. The Palladium gig may have offered up a useful comparison for sure. But a fully orchestrated Parade? No thanks. The music was perfect throughout under Larry Blank’s baton. Brown added a suite of suites to the set list for good measure and with Tucker spectacularly flying home to Flying Home at the close, the Radio 2 audience are unlikely to be disappointed. It is a delight to return to this award-winning production of Sunset Boulevard as its week-long residency in Wimbledon brings it the closest to central London that its touring licence (which has already included venues in Italy and Holland) will allow. Directed by the Curve’s Nikolai Foster, at its Leicester launch last September (for my review of that opening night see the foot of this page) the show was nigh-on perfect. Seeing the production some seven months on reveals that not only have this outstanding company gelled, but also how some of the cast have matured into their roles. A packed house at the New Wimbledon Theatre rose as one to salute Ria Jones’ bow and with good reason. 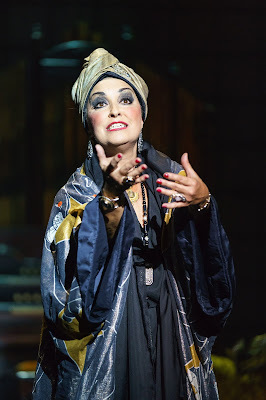 Jones remains magnificent, her definitive, decaying diva capturing Norma Desmond’s long-faded Hollywood majesty. Notwithstanding her remarkable association with the role (remember that she created it for Lloyd-Webber as he trialled the show, nearly ten-thousand midnights ago, at his Sydmonton Festival) Jones’ performance now reveals a greater depth to Desmond’s tragedy. Free of the distractions of movie mega-stardom that surrounded the show’s most recent Norma in both London and on Broadway, Jones’ portrayal of Desmond’s shattered mind stands only on its sheer artistic beauty. Her voice thrills, while her acting breaks our hearts. Ria Jones’ Norma Desmond has to be one of the finest musical theatre creations of the decade. As Joe Gillis, Danny Mac now brings a fully formed wry, sardonic swagger to the part that completes his character. Billy Wilder’s original story (and if you haven’t yet watched the 1950 movie, it’s a must see) was a noir-satire, driven by Gillis’ narration. William Holden nailed the caustic hack on screen and Mac, now, displays a craft that truly inhabits Wilder’s writer. Gillis’ is a complex journey, with Mac convincing us of his ultimately irresistible charm to the young script editor Betty Schaefer and indeed, his love for her in return. On an interesting side issue, since September the #MeToo issue has exploded into our collective conscience. In a perceptive interview published late last year in her native Ireland, Molly Lynch (Schaefer in the show) referenced her understanding of the role to comment on an entertainment industry that had remained “toxic, negative and very difficult for women”. Considering the sexual politics that drive the show’s undercurrent - that of a 50 year old star desperately seeking the desirable glamour that she possessed some 30 years previously – one has to acknowledge that the industry’s ugliness and moral vacuity, only now in the headlines, has actually existed since the cameras first turned. Thankfully Lynch’s vocal and stage presence is as en-pointe as her analysis. Wilder may have created Schaefer with an essential, if simple, 2-dimensionality. Lynch however, as reviewed back in September, delivers the role in a perfect support to the story. Adam Pearce’s Max, the keeper not only of the flame, but also, perhaps, of one of the tale’s darkest secrets likewise retains his beautifully sonorous boom. As the audience still gasps at his devastating revelation late into the second half, there is a heartbreaking sensitivity to the devotion Pearce’s manservant shows to Norma. The creatives here have always been top-notch. Lee Proud’s choreography lends an ingenious slickness to the onstage movement. Not just in the exciting ensemble numbers, but also in a gorgeous tango performed by Jones and Mac to The Perfect Year. My September review omitted referencing Douglas O’Connell’s imaginative projection work that well supports Colin Richmond’s ingenious design. Likewise Ben Cracknell’s lighting work. Above all, a nod to Adrian Kirk in the pit, whose 14 piece orchestra brings a symphonic texture to Lloyd-Webber’s sumptuous score. The tour is entering its final weeks and there’s only a few days left to catch it here in south west London. As Norma says to Joe: Now Go!